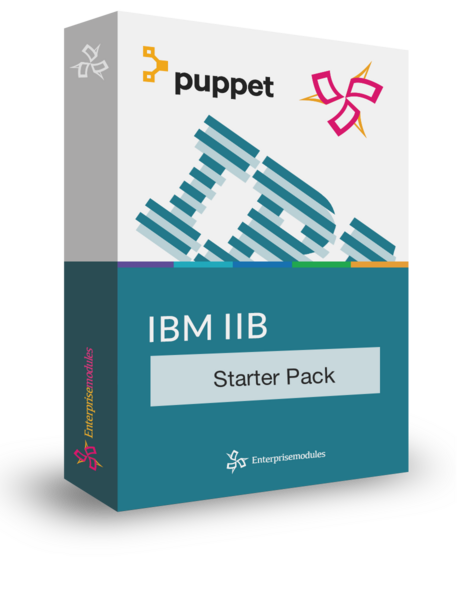 The FREE IBM Integration Bus (IIB) starter pack allows you to use the FULL set of IBM IIB classes, defined types and custom types provided in the iib_install and the iib_config modules on your own systems for a period of 1 month. This allows you to test the modules in your own environment and see how they help you to take control of your IBM Information Bus configuration. To use the IBM software you need a separate license provided by IBM Inc. Check with your local IBM representative how to to buy a valid license for your system(s). The IBM Integration Bus (IIB) starter pack contains entitlements to use the iib_install and the, iib_config modules. You can try out all custom types and Puppet classes and defined types in your own environment. This way you can try out the functionality of the modules and experience the benefits of fast and consistent deployments. Check out the links to the individual products for more details and documentation.